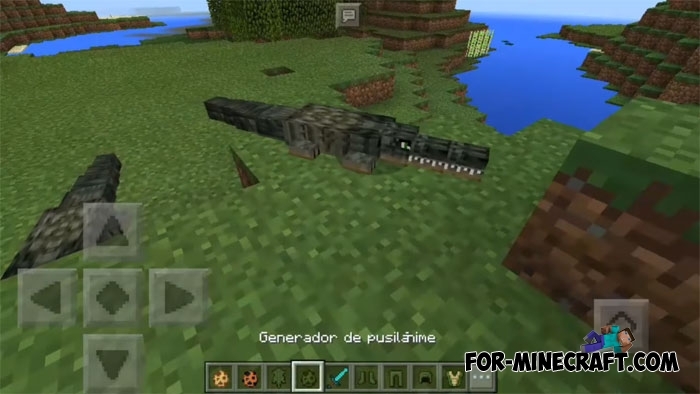 Crocodile addon is a small modification for Minecraft PE which adds real crocodiles living in the swamps and ponds. As you know, the crocodiles are predators and are dangerous to people and the peaceful animals, so beware of it, the new mob can bite you. Crocodiles are well hidden in the grass and are difficult to notice. With these parameters, you will often stumble on them and get a small problem. How to spawn a crocodile? Use Husk spawn eggs, although crocodiles spawn independently in the ordinary world. You get crocodile skin when will kill it. 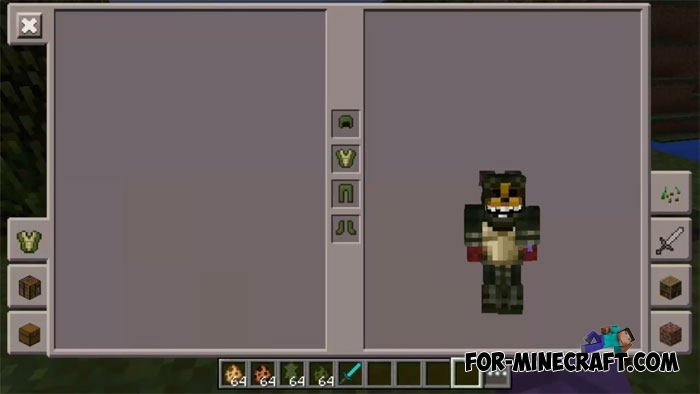 Using it, it is possible to craft an crocodile armor. This is a good alternative to the iron armor, but the crocodile armor has increased parameters. If you want to replace all standard mobs, then take a look at addons for MCPE such as Snow Gorilla, Elephant, Animals. By installing these addons, new animals populate your world. Snow Gorilla Add-on for MCPE 1.0.4The next addon for the game which refers to the mobs category. At this time, you can spawn a huge snow gorilla..